Obama takes question on McKinnon Jump to media player There was an awkward moment at a press conference with Barack Obama and David Cameron, when a journalist asked about the fate of computer hacker Gary McKinnon. 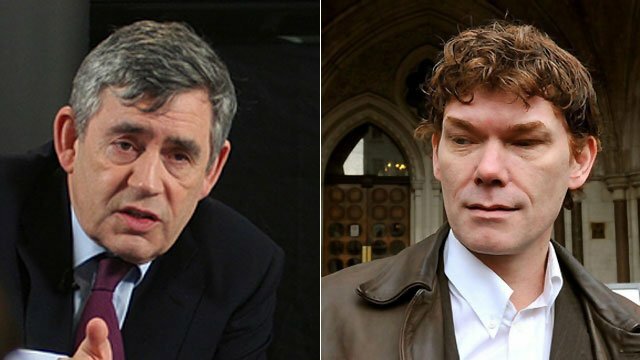 UK rebuffed on hacker extradition Jump to media player Former British Prime Minister Gordon Brown made representations to the US ambassador to stop the extradition of computer hacker Gary MacKinnon, it has emerged. 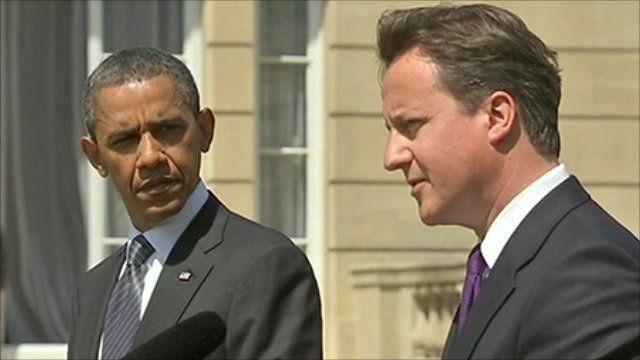 Barack Obama and David Cameron have held a joint press conference following a meeting in Downing Street, in which the conflicts in Afghanistan and Libya were on the agenda. Taking questions from journalists, the leaders were asked what steps had been taken to resolve the fate of computer hacker Gary McKinnon, who is facing extradition. Glasgow-born Mr McKinnon, who has Asperger's syndrome, is accused of hacking into US military computer systems.